This is it, the final Alphabet Club post for me! The idea for the Alphabet Club first came about when Chiara and I were chatting over two years ago. We have been joined by various bloggers each month, although Chiara herself is taking a little break from blogging. Because of this, I've added the linky for the final month here. Whatever letter you are doing in September, please link up here so people can come and check out your progress. For those of you who would like to see the entire piece in more detail, you can check out my Danse Macabre post. and here is the whole piece laid out on the floor! The plan is to stitch a title in the gap on page one, next to A and then sew the tops and bottoms of each page together to make a soft book. I'll make sure I post photos when it's completed. 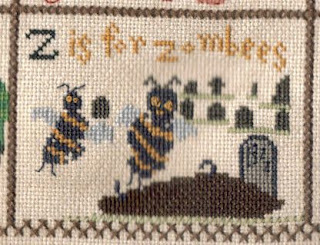 Z is also for Zombie, as well as Zombees! Here is a cute Zombie Kitty designed by Carand88. I stitched two of these for friends who were organising a Horror Festival. 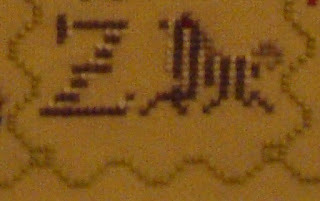 I don't have anything from a designer beginning with Z but there is one big name in the stitching world - Zweigart! The people who make the fabric, as ubiquitous as DMC in the stitching world. Zweigart are celebrating their 140th anniversary this year. They are popular because of the range of fabrics they produce, in a rainbow of colours, the quality of the products and their famous "orange" line trademark in the selvage. If it isn't orange, it isn't Zweigart! They also produce chart books and have a blog with some great ideas for how to use their products. Both the website and the blog have a Translate button on the rop right if you don't speak German. It's a good thing that Zweigart have a blog, because there are no other Z blogs in my Reader at all. 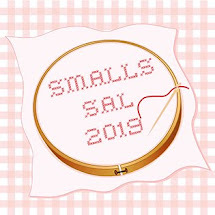 But this is the design I am going to be starting this month while I wait for Satsuma Street to release Virgo and Libra! They come from this book which I picked up very cheaply from Waterstones Marketplace. A really good place to find older, out of print books at very low prices. 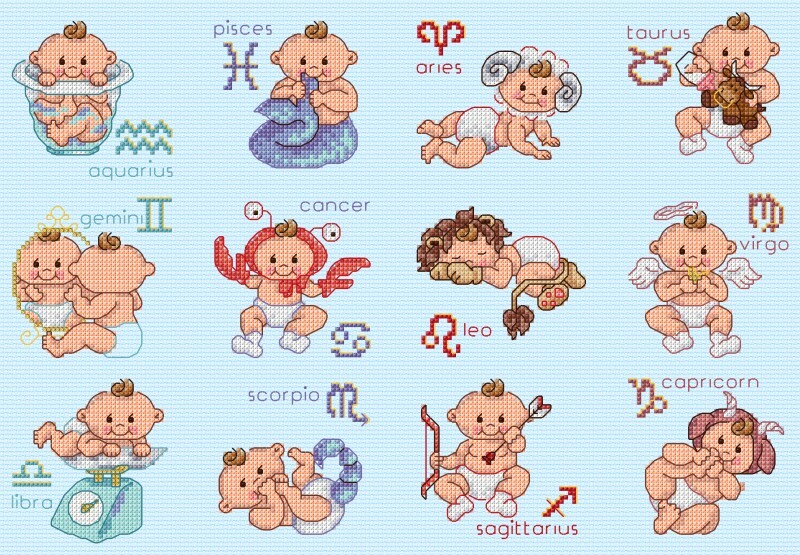 So there you have it, the plan for the next 12 months is to Stitch the Zodiac. I will continue to post the first Saturday of each month and add a Linky which will last all month for you to join in. You can choose a design like I have with small versions of each sign, or a larger design like the Joan Elliott and Lesley Teare, or just the individual signs for you and your family. 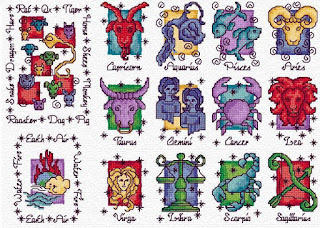 But here's the really good part - you don't even need to stitch a Zodiac design to join in. I'll be starting with Libra for my first post; Libra is an Air sign represented by the Scales. So you could share something related to Air, or balance, justice, weight, anything that says "scales" to you. You could even shoe-horn a mermaid or fish in there! You can look up the birthstone or flower for Libra and show that. You can show a current piece, a WIP or an older finish. If you have a Libran in your family you could show something that relates to them. Finally, I'll be posting the first Linky on Saturday 7th October, which serendipitously is my Grandad's Birthday! The first in a long line of Librans in my family. 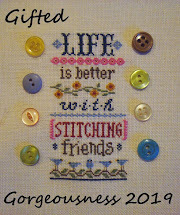 Please join in, it's always more fun stitching with friends! You don't have to post on the 7th, but that is where you'll find the Linky for the whole month. 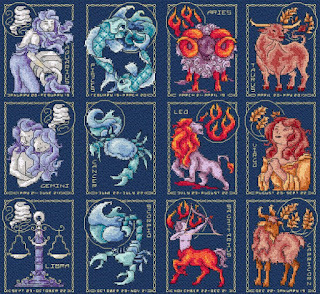 Lovely Z stitching and the Zodiac is a great idea for the next Club pieces..even if I do not join in I will enjoy seeing all the different Zodiacs being stitched. A great selection as always, Jo. I'm looking forward to seeing your book made up of your Stitcher's Alphabet by Brooke's Books. Your Dark Alphabet is wonderful! Love the "Z" block! The Zodiac by Satsuma Street is gorgeous! Your new project is so cute!! This has been interesting to follow everyone with he alphabet club. 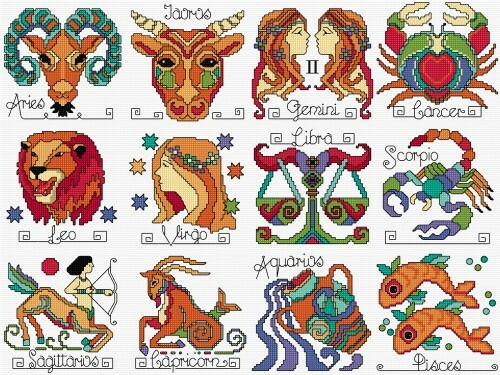 The Zodiac looks interesting. The Alphabet Club is so interesting to see what everyone does for the letter of choice. You did a great job with a difficult letter "z"! Well done on getting to the last letter of the Alphabet! My postings fell away months ago along with my blogging time but I have enjoyed reading your posts each month. Congrats on all your posts Jo the Alphabet Club it was fun to see on many of friends blogs . 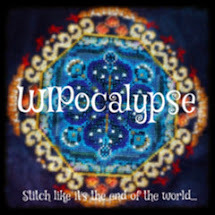 Look forward to seeing the new Zodiac stitch. 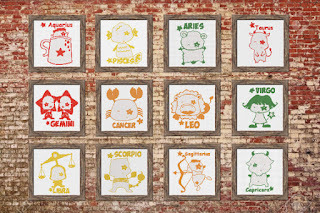 This has been a fun one to follow - it's a little sad to see it end, but I'm looking forward to seeing your zodiacs. 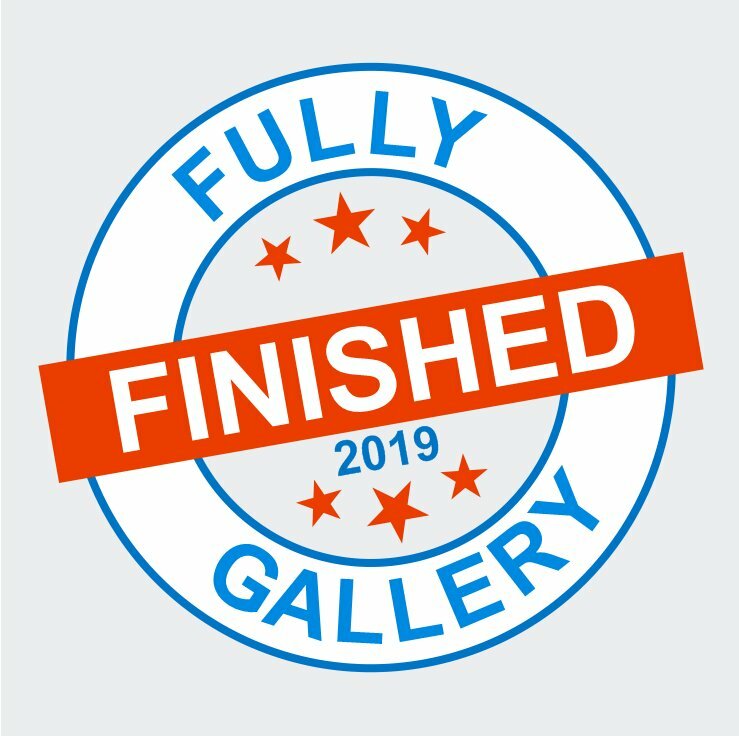 Congratulations on finishing! And here is the final alphabet post. I was hoping to see the two whole alphabets, they look gorgeous. And Zweigart will also be in my final post which will appear by the end of this month. The Zodiac is a great idea for Z - and for your future stitching. Thanks for the link where we can enter the links to our alphabet posts. It's been very fun indeed following your alphabet posts. Beautiful progress with your Z's. Love the zombie cat you did. Too cute haha. 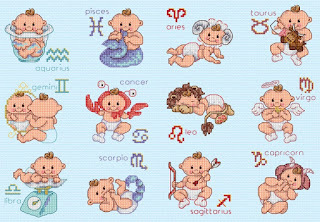 Good luck with your Zodiac SAL. Zounds! Zany zingers abound. :) Great idea for the next 12 months and I have some ideas already. Excellent stitching on everything and congrats on getting to Z.
Zowsers! 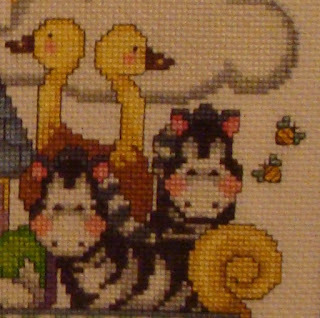 That is a lot of Z stitching. My eyes zigged and zagged with zeal around your post. 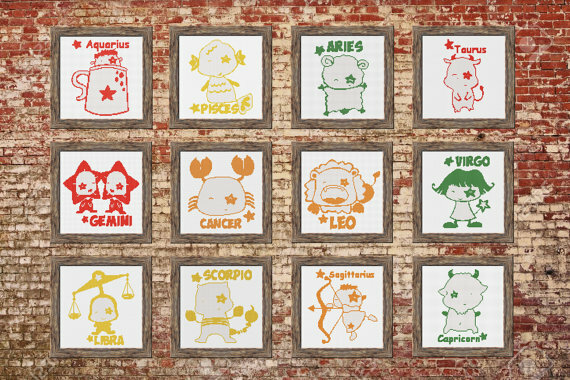 I love the zany zoology of the zodiac projects too. Zinging zombies made me sigh like a zephyr. I sound like a zealot for Z! Great finished alphabet, the soft book will be a great idea. I have only joined the "W" but the next 3 months will be a perfect timing to join the arrival. 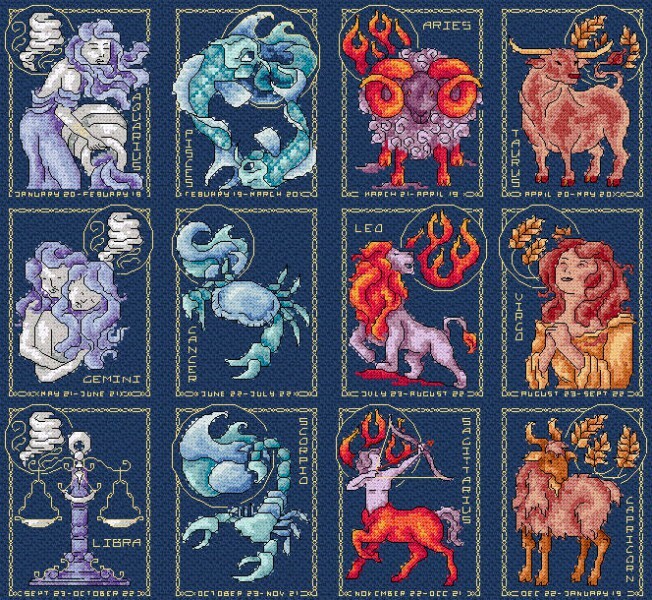 Zodiac theme is a nice project which means I'll have to post twice on the first Saturday of October! Zombees!! I love that! It's been so much fun to follow your alphabet. Great Z post and zombies. The Alphabet club has included so many interesting posts. sad to see it end. I've just linked up to my S entry. Zombie bees and cat, I love it! 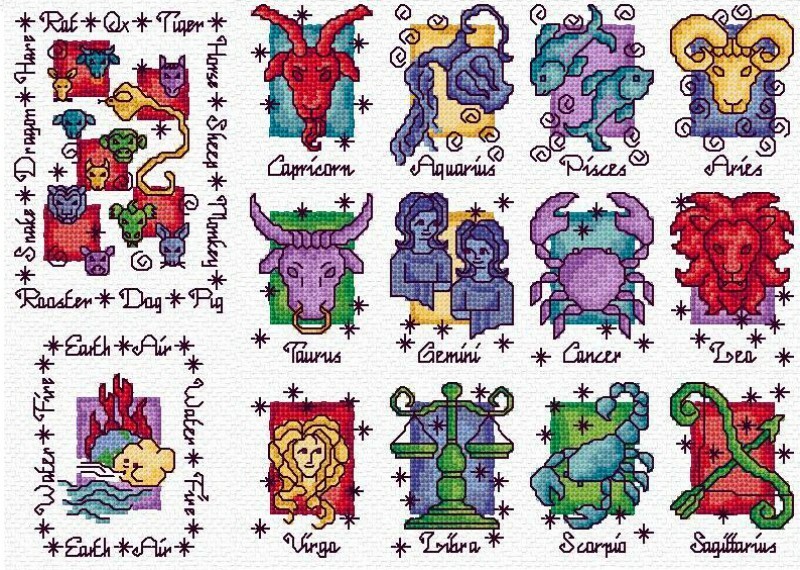 So much zodiac stitching, who knew?! I missed this post Jo. Another great alphabet post. Looking forward to the Satsuma Street SAL. Sorry to see the end of the Alphabet Club, I have enjoyed reading the posts. 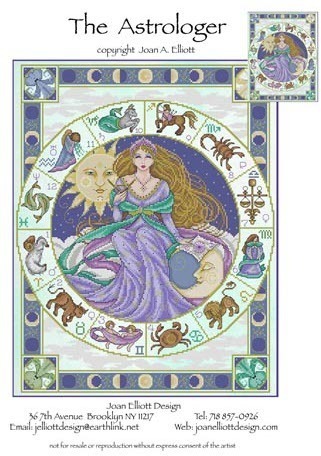 Good luck with the Zodiac SAL, and thank you for the links to Zweigart and Waterstones ..... very useful! Stitchers Alphabet is fabulous, Z is really jazzy.